Prior to joining the Sacramento office of Mullen & Filippi in 1981, Robert Sherman had prior employment as a defense attorney and subsequently as an applicant's attorney in Fresno, practicing both workers' compensation and social security law while becoming a partner in a small firm. Since 1981, he has represented a wide range of clients including insurance companies, third party administrators and employers in all aspects of workers compensation matters including claims filed for alleged werious and willfil misconduct and actions filed under Labor Code 132a. 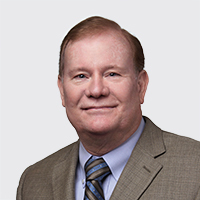 Robert served as the Senior Managing Partner of the Stockton office from 1993 to 2010, Chairman of the Firm's Management Committee from 2001 to 2010 and as the Senior Managing Partner of the Sacramento office from 2010 to 2018. On July 1, 2018, he resumed serving as Chairman of the Management Committee. Robert graduated from Brigham Young University, Provo, Utah in 1973 with a Bachelor of Arts Degree in the double major of Political Science and International Relations. While at that university, he was selected as a member of Pi Sigma Alpha, the National Political Science Honor Society, in recognition of high academic achievement in the field of Political Science. Upon graduating, Robert took the entrance exam for employment with the State Department in the Diplomatic Corps but he decided to attend law school instead. Robert graduated from McGeorge School of Law, University of the Pacific, Sacramento, in 1976. While in law school he worked as a legal intern through the school's program to provide legal services to Sacramento residents. Robert was also employed as an intern in the administrative offices for California Community Colleges and subsequently as a summer and part-time employee for California State Employees Association. While there, he authored an informational booklet for state employees on their rights and benefits under California workers' compensation laws and drafted potential legislation. Robert was admitted to the California State Bar Association in December 1976. He is a long-standing member of the Workers' Compensation Law Section. Robert is also a member of the Sacramento County Bar Association and its Workers' Compensation Law Section. He is a member of the California Workers' Compensation Defense Attorneys Association, California Public Agency Risk Managers Association, California Association of Joint Powers and Authorities and California Self-Insurers Association. I feel the practice of workers' compensation law has been interesting, challenging and stimulating. Serving the Firm as the managing partner of two different offices and as the chairman of the Firm's management committee, provided me with a better understanding of the complexities of managing all aspects of a business including personnel and finances. I have seen tremendous growth in the Firm since I joined Mullen & Filippi in 1981. I strongly believe that this is due to the attorneys and staff at the Firm who have the integrity and expertise to provide our clients with the highest level of legal services available in the industry. Prior to settling in California, I lived in six different states and two foreign countries. I still like to travel and am fluent in Spanish and speak a little Italian.